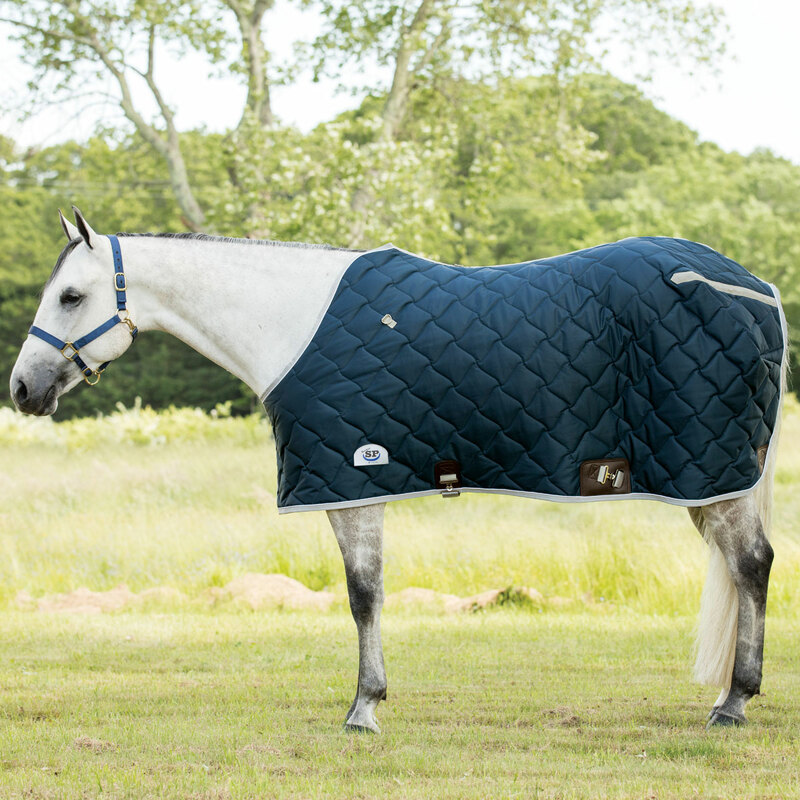 Keep your horse warm and toasty in the barn this winter with the Rockin’ SP® Quilted Stable Blanket. 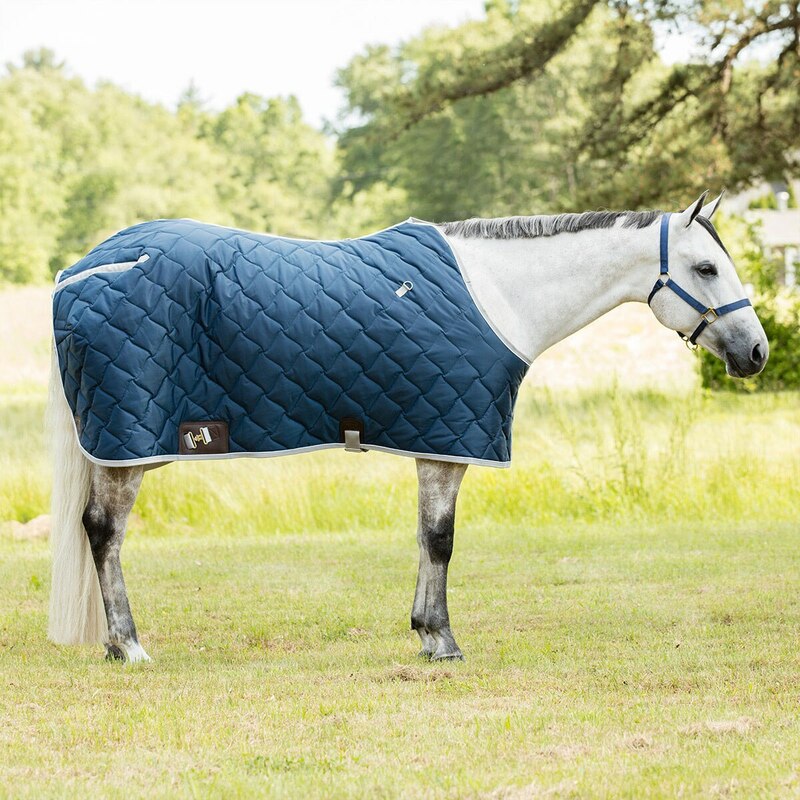 This blanket features a unique cut that is specially designed to provide an ideal fit for quarter horses and other stock breeds with a broader shoulder and hindquarters, a cutback wither, and a shorter drop. 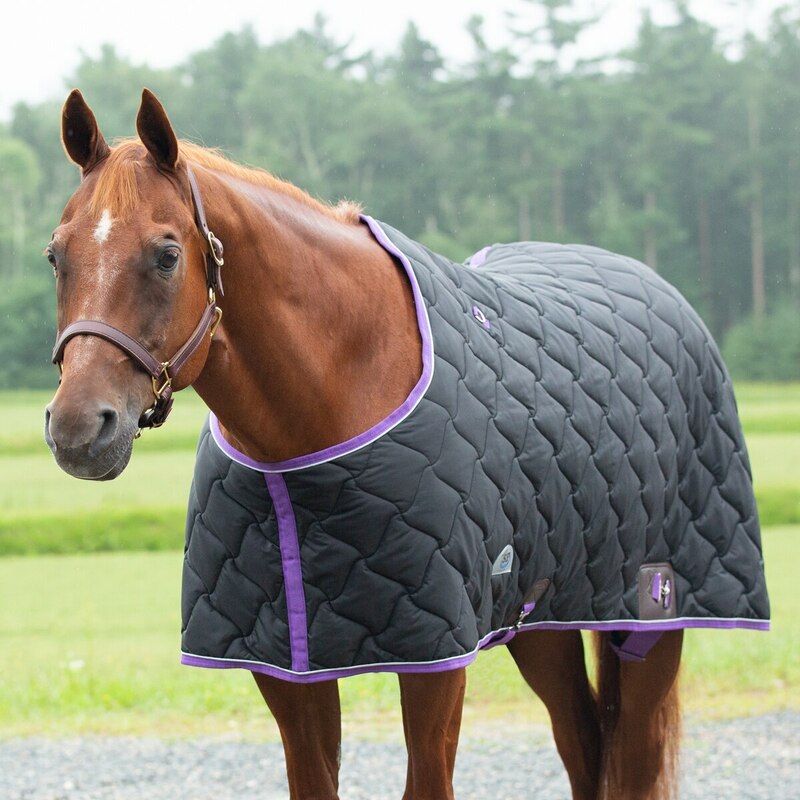 The soft quilting will keep your horse warm while the silky nylon lining gives his coat a nice polish and shine. Plus, you’ll love that the closed-front design makes taking this blanket on and off a breeze and provides a streamlined fit for layering with other blankets. Additionally, an adjustable belly surcingle and leg straps help provide a secure fit. The stainless steel hardware and leather reinforcement at the attachments are both durable and stylish. 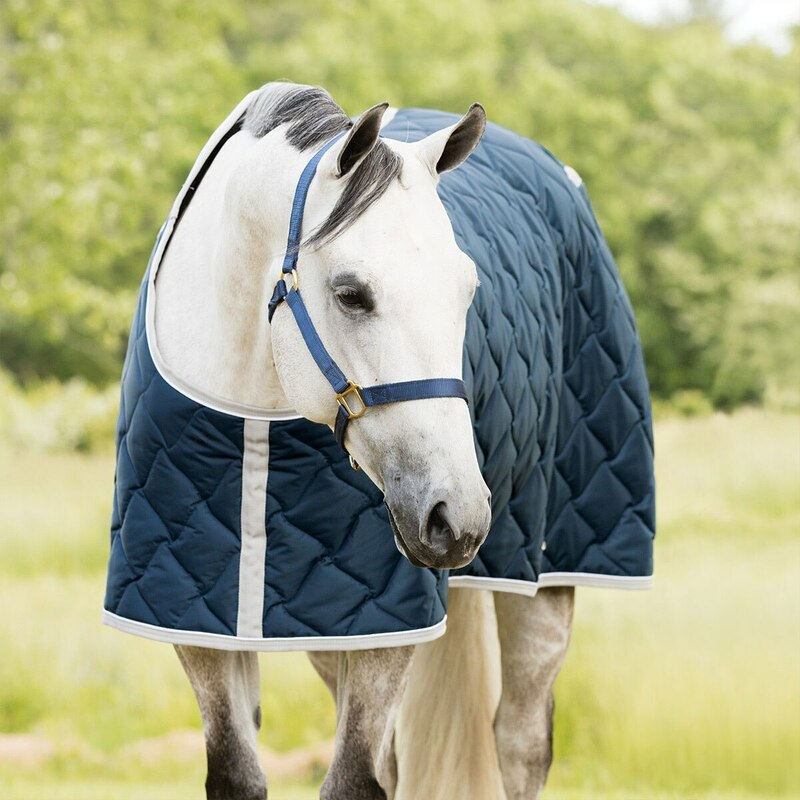 Finally, the classic styling and quilted pattern gives your horse a sharp look at the barn or at home. Sizes 72" - 82" in 2" increments. 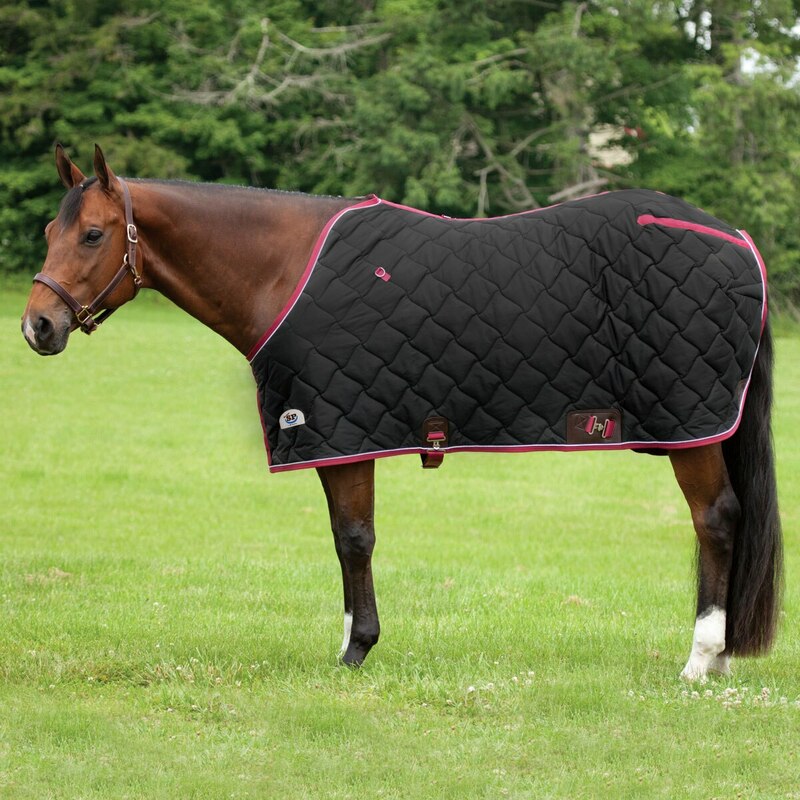 Rockin' SP® Quilted Stable Blanket is rated 4.6 out of 5 by 76. Rated 1 out of 5 by Wyosavvy from Cut too deep in the shoulder I ordered a 78. When it arrived, the paper tag said 78 but the sewn in tag was 80. So who knows what size I received. It is well made, but cut too deep in the shoulder. It hooks behind the wither and rides on the point of the shoulder. I’ve had it on 4 different QHs. The good news is, I think I can take the front apart and tailor it to fit better. Probably won’t buy this brand again until they change the shoulder fit. Rated 4 out of 5 by Savannah from Mostly loved! I bought this blanket earlier this year (maybe Feb of 2018) when they were having a really good sale, and wanted to wait to review until I had used it for a while. Some things I loved: it quickly became my go to blanket (I got the medium weight in the 220g). I bought the Big D version previously which is 275g fill and sometimes ended up being too heavy for our mild TN winters. This weight is perfect for when my mare needed more than a sheet but not quite a heavy blanket. The things I didn't end up liking about it: number 1 issue I had with the blanket was the neck hole. It was so big!! My mare is stout and big and the neck hole just was way too big on her. The other aspects of the blanket fit her well (in a 78) but were maybe slightly big so I bought another one recently and sized down to a 76 hoping the neck hole would be better - except now I'm reading reviews that say this blanket runs a bit small?? So the 76 might be too small for her, who knows. The other things I don't like about the blanket are things I'm just now realizing. Its ripped, in multiple places. One of the rips I attribute to my mare's manic tears around her paddock, but another one I found recently is along the seam on the inside of the blanket, along the spine. So the thread in the seam gave way - it doesn't look stretched or torn, just perfectly slit open somehow. Given that I haven't had this blanket for even a full year and of course it wasn't used at all this summer, my conclusion is that it is not very durable (also it was not washed but maybe twice so it can't be damage from a washing machine). But, I am able to tape up the blanket and continue using it and it can be my back up after the new one arrives. All of that being said, I really like this blanket and wish it would have been just a bit more durable because even though it is a great price point, it becomes a little less great if you have to purchase a new one every year. Rated 5 out of 5 by Heid727 from This is a great blanket! 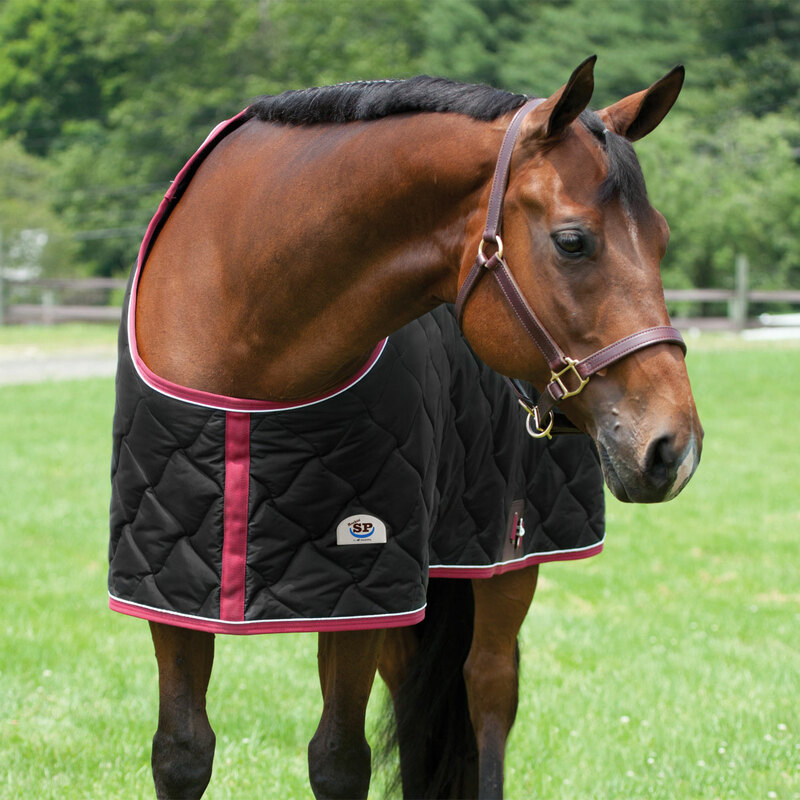 I bought this blanket to take to shows for my horse in the colder months. It’s great quality, warm and pretty!! Rated 5 out of 5 by Jpdraft from Love these blankets! I've had really great luck with the Rockin SP line of blankets. They fit great and are durable to boot! A great value for the money!! Rated 5 out of 5 by Kelsey22 from Love the quality and design of this blanket! Runs a little big but makes it perfect for layering. Rated 5 out of 5 by Flossie from Great value and fit! I bought the heavyweight stable blanket and love it. It is very nice quality! The shape fits my horse great. She rolls a lot and it always rights itself back to where it should be! Rated 5 out of 5 by Meredithkeesee from Love this blanket! I love this stable blanket! Not only is it super warm but sharp looking as well! I have the blue and silver for my gelding and the red and black for my mare! Rated 5 out of 5 by Brittany from Awesome Blanket I absolutely love this blanket! It is stylish, but also holds up to the abuse. I love how it’s designed and it fits great! Rated 5 out of 5 by Texaseventer from Great Quality! Love the fit and the quality of this stable blanket. I use it to layer under a turnout sheet. I feel like it’s not as restrictive in the neck as some other stable blankets I have owned in the past. Rated 3 out of 5 by DGSH LLC from Nice blanket, but thinner than expected Ordered this heavy weight stable blanket before an expected cold snap. Not only did it take 14 days to arrive (to be fair, there was a holiday in there) but the "heavy" weight, was - AT BEST- what one would expect of a midweight, and not very warm. Aside from being a bit light on fill, it is a well put together blanket.